Adrian Kantrowitz (October 4, 1918  November 14, 2008) was an American cardiac surgeon whose team,Bjornstad PG, Lindberg HL, Smevik B, Rian R, Sorland SJ, Tjønneland S, performed the world’s first pediatric heart transplant at Maimonides Medical Center in Brooklyn on December 6, 1967. It was only the second time that a human heart had been transplanted into another human being, taking place just three days after Christiaan Barnard‘s seminal attempt in South Africa made headlines around the world and ushered in a new era in clinical organ transplantation. Kantrowitz also invented the intra-aortic balloon pump (IABP), a left ventricular assist device (L-VAD), and an early version of the implantable pacemaker. Kantrowitz was born in New York City on October 4, 1918. His mother was a costume designer and his father ran a clinic in the Bronx. Adrian told his mother as a three-year-old that he wanted to be a doctor, and as a child built an electrocardiograph from old radio parts, together with his brother Arthur. In 1981, Kantrowitz became a founding member of the World Cultural Council. He graduated from New York University in 1940, having majored in math. He attended the Long Island College of Medicine (now SUNY Downstate Medical Center) and was awarded his medical degree in 1943 as part of an effort to accelerate the availability of physicians during World War II. During an internship at the Jewish Hospital of Brooklyn, he developed an interest in neurosurgery, and had a paper published in 1944, “A Method of Holding Galea Hemostats in Craniotomies”, in which he proposed a new type of clamp to be used while performing a craniotomy during brain surgery. He served for two years as a battalion surgeon in the United States Army Medical Corps. Kantrowitz was discharged from the Army in 1946 with the rank of major. After his military service, he switched to specialize in cardiac surgery due to the paucity of positions in neurosurgery. In 1947, he was an Assistant Resident in Surgery at Mount Sinai Hospital in Manhattan. He was on the surgical staff of Montefiore Hospital in the Bronx from 1948 until 1955. He started at Montefiore as Assistant Resident in Surgery and Pathology, and progressed to Cardiovascular Research Fellow before becoming Chief Resident in Surgery. At the New York Academy of Medicine, on October 16, 1951, he screened the world’s first movies taken inside a living heart, showing the sequential opening and closing of the mitral valve inside a beating heart. Using dogs and other animals as experimental subjects, Kantrowitz developed an artificial left heart, an early version of an oxygen generator for use as a component in a heart-lung machine and a treatment for coronary artery disease in which blood vessels would be rearranged during surgery. He also developed a device that allowed individuals who were paralyzed to have their bladders empty through a signal sent from a radio-controlled device. From 1955 to 1970, he held surgical posts at Maimonides Medical Center in Brooklyn. In February 1958, a heart-lung machine Kantrowitz had developed was used during open heart surgery on a six-year-old boy while the surgeons repaired a one-inch hole between the chambers of the boy’s heart that was present since birth. In an October 1959 lecture at the American College of Surgeons, Kantrowitz and colleague Dr. William M. P. McKinnon reported on a procedure in which a portion of muscle from the diaphragm was used to create a “booster” heart to help pump blood in a dog, taking over as much as 25% of the pumping burden of the natural heart. The booster heart functions by receiving a signal sent by a radio transmitter triggered by the pulse of the natural heart. Kantrowitz noted that the procedure was not ready to be performed on humans. Ruff, a “friendly dog of unknown ancestry” was honored by the New York Academy of Sciences as “research dog of the year” for his unwitting participation in the implantation of a booster heart 18 months earlier in a procedure performed by Kantrowitz. In the early 1960s, Kantrowitz developed an implantable artificial pacemaker together with General Electric. The first of these pacemakers was implanted in May 1961. The device included an external control unit that could adjust the pacing rate from 64 to 120 beats per minute to allow the patient to deal with physical or emotional stress. Throughout the 1960s, he collaborated with a team that included his brother, engineer Arthur Kantrowitz, on the development of a left ventricular assist device. Building on his experiments with dogs, he performed the world’s second permanent partial mechanical heart implantation in a human on February 4, 1966, which was successful, though the patient died 24 hours after surgery as a result of preexisting liver disease. His second implant of a partial mechanical heart on a 63-year-old woman, on May 18, 1966, lasted 13 days, until the patient died of a stroke. During these almost two weeks after the surgery, the patient was improving, and was able to sit up and eat well. This surgery used a valveless device developed with his brother Arthur in which the natural electrical impulses of the patient’s heart controlled the action of the pump. On December 6, 1967, Kantrowitz performed the first human heart transplantation in the United States, removing the heart of a brain-dead baby and implanting it into the chest of a 19-day-old infant who had a heart defect that would have been fatal. The recipient lived for a little more than six hours after the surgery. As part of Kantrowitz’s research for this project, he conceived of ABO-incompatible heart transplantation, though it would be three decades before it would be put into practice. The intra-aortic balloon pump was invented by Adrian Kantrowitz, working in conjunction with his brother, Arthur Kantrowitz. Inserted through the patient’s thigh, it was directed into the aorta, and alternately expanded and contracted in order to reduce strain on the heart. Based on Kantrowitz’s theory of “counterpulsation”, the device inflated the balloon with helium gas when the heart relaxed and deflated it when the heart pumped blood. The pump did not require surgery and could be inserted using local anesthetic in an emergency room or at a patient’s bedside. The device was first used in August 1967 to save the life of a 45-year-old woman who was having a heart attack. The device could be used in the 15% of heart attack patients who went into severe shock, 80% of whom could not be helped by the protocols that existed before the balloon pump. Since the device went into widespread use in the 1980s, it had been used in some three million patients by the time of his death. He and his entire team of surgeons, researchers, biomedical engineers, and nurses relocated to Sinai Hospital (now Sinai-Grace Hospital) in Detroit in 1970, where he assumed the position of attending surgeon and Chairman of the Department of Surgery. 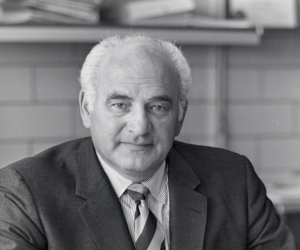 At Sinai Hospital, Kantrowitz experimented further with heart transplants and continued development of the balloon pump, and partial mechanical hearts. In August 1971, he implanted an artificial heart booster in a 63-year-old man whose weakened heart could not pump sufficient oxygenated blood to his body. The patient became the first partial mechanical heart patient to be sent home, and died three months after the surgery. Kantrowitz married Jean Rosensaft on November 25, 1948. His wife was an administrator on the surgical research laboratories at Maimonides Medical Center while he was there. In 1983, they co-founded L.VAD Technology, Inc., a company specializing in research and development of cardiovascular devices, with Dr. Kantrowitz as president and his wife as vice president. Kantrowitz died at age 90 in Ann Arbor, Michigan on November 14, 2008 of heart failure.